I would like to propose that for some things in life, we stop listening to and believing the rules other people set for us, and just make our own. I sometimes avoid bold fashion trends until I know for sure that I, being the complete opposite of the super model type, can pull it off. Example – For at least a year I avoided buying leopard print shoes because I didn’t think they were practical or if wide footed non super model types should draw that much attention to themselves. I finally bought leopard print flats over a year ago, and I’ve recently convinced myself they match with almost everything. 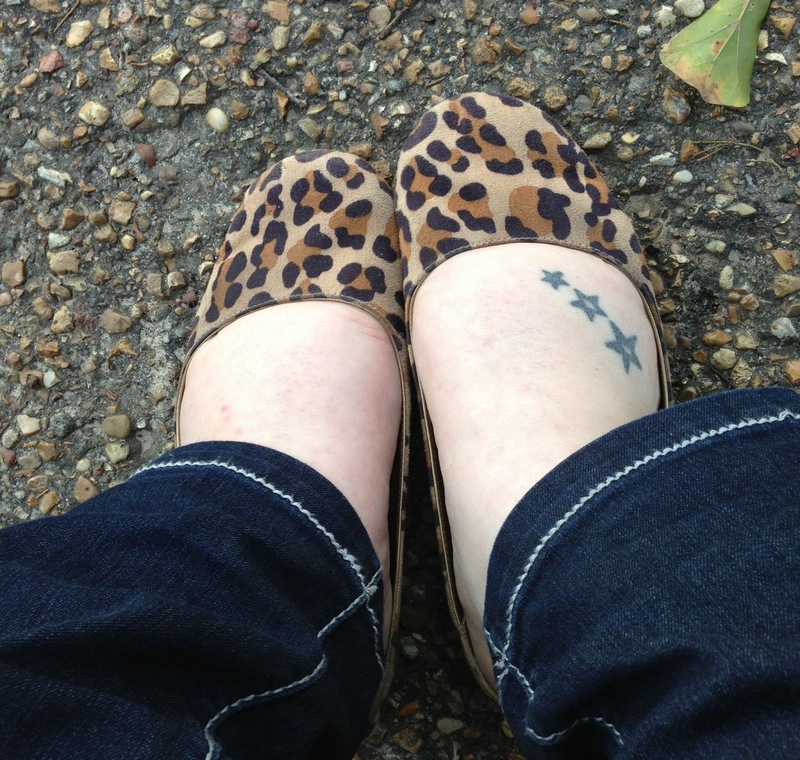 Skinny jeans, grey Yale tshirt with navy writing, navy cardigan, and leopard flats? Sure! Pink dress and leopard flats? Yes! Hot pink stripped shirt with leopard flats? Yep. Anything pink with leopard flats? Yes. Also, believe it or not, once upon a time I didn’t think I could paint my nails because I had short nails and stubby hands. I finally decided I didn’t care and now I barely go half a day without painted nails. Don’t get my wrong, some rules are important and should be followed! I’m studying Romans right now and it’s so full of talk about the law, essentially rules. Some rules are good and important. I’m not saying not to follow those. I am saying that no one gets to tell you how you work. 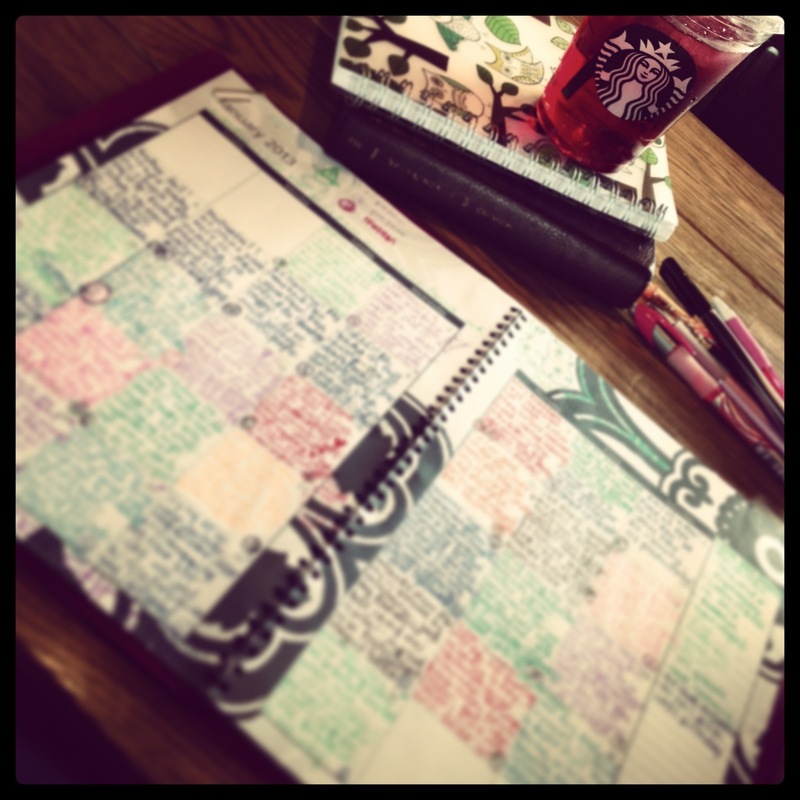 For year and years, over and over again I tried to journal. I tried to journal like everyone said to journal. Filling pages and pages with stuff. I was inconsistent and my inconsistency lead to giving up. I happened upon a new way to journal on Pinterest using a calendar and simply filling in each day. I finished January and haven’t missed a day in February so far. It’s been transforming! I love doing it, but also it’s helped me notice patterns. Patterns I NEEDED to notice to be able to work on. These are surface, silly examples, but the concept is deeper. People, society, and sometimes even the church tries to generalize us all and fit us into boxes. Not living up to silly “rules” can cause us to feel defeated and discouraged. No one gets to tell you how to be you! So what if you’re almost 30 and have never bought a car, owned a house, and aren’t married. Life is still beautiful! People are different. Every one of us. We’re all different. I still miss my dad everyday, I’m still grieving, but I’m happy. It doesn’t mean I don’t miss him or I’m doing anything wrong. I’ve had to figure out how to grieve and survive and heal that way that’s best for me, not the way that works for anyone else. I bake when I’m bored or stressed. It would be silly for me to recommend the same thing to you if you hate baking. It would likely CAUSE you stress instead of relieve your stress. Be you! Like what you want to like! Do what you like to do. Maybe your version of being social isn’t going to the movies or doing big crowd event type things. Maybe you’d rather be in book clubs or dinner clubs. Don’t conform to the “rules” of what you’re “supposed” to do or be as a 20 something or 30 something or a non super model type. Wear leopard flats. Paint your nails. Wear multiple shades of pink together. Heck, even wear sunglasses inside if you want (though I can’t promise not to make fun of you secretly in my own mind). Cry if you need to cry. Laugh as loud as you want to. Take baby steps if big steps are too scary. Set goals and do them! If big goals are scary, make little goals and check them off every day until you work up the courage to make a big goal and take a big step. Dream big dreams and write them down. People who dream really are happier people! And when one of your dreams starts to unfold into a realistic goal right before your eyes, only listen to the voices that affirm it!